Graham Williams spent 15 years in Private equity in both the UK and France before becoming a director of Guildford-based Hays PLC. 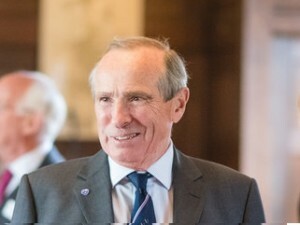 Now retired, Graham is a Trustee of the Royal Alexandra and Albert School, a governor of The Hawthorns Prep School as well as being a non-executive Director of a listed company. Graham sits on the Foundation’s Corporate, and Finance and Investment groups.